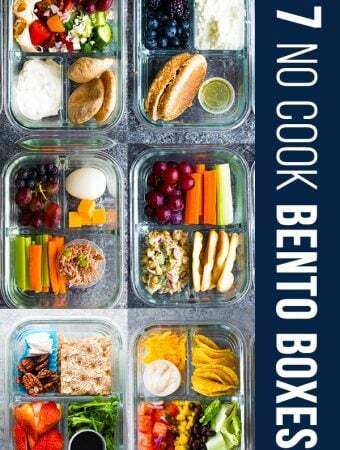 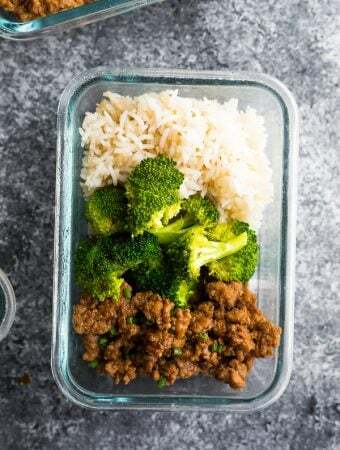 Meal prep lunch recipes are prepared ahead and stored in the fridge or freezer, making packing your work or school lunch a breeze! 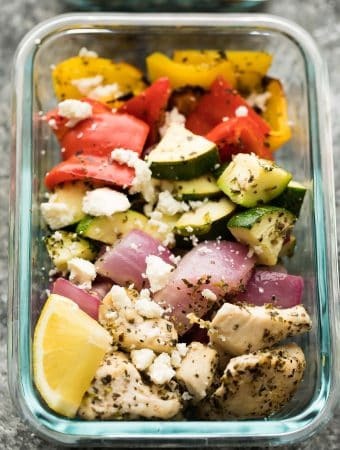 This habit will save you time in the morning, money, reduce your stress and keep you on track with healthy eating. 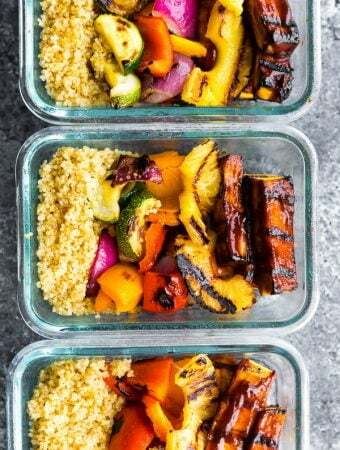 If you are new to meal prep, you should consider joining our 3 Week Lunch Prep Challenge, where we provide you with free recipes, shopping lists and video prep tutorials to help get you started with meal prep. 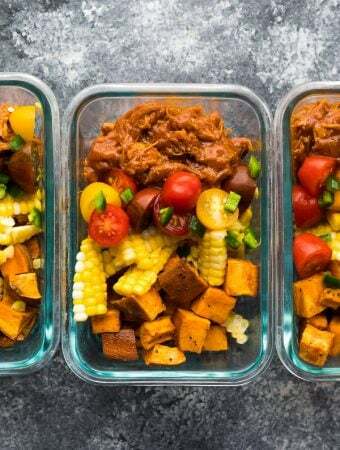 Turkey Taco Lunch Bowls- easy to customize based on what you have in your fridge, and under 400 calories per serving. 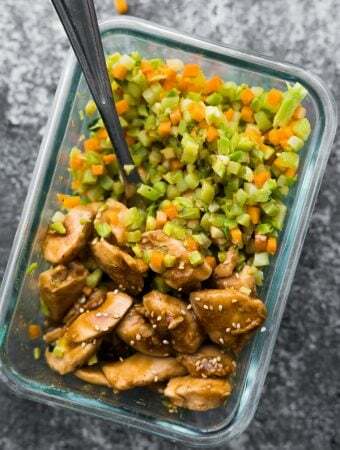 Honey Sesame Chicken Lunch Bowls- this stir fry is great for a meal prep lunch or dinner. 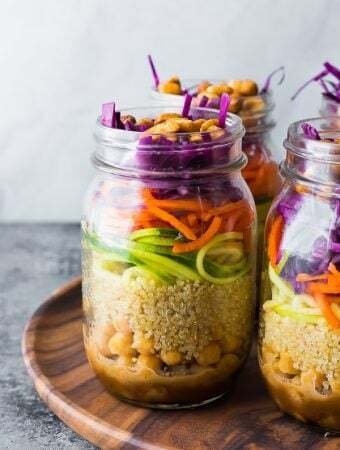 Southwestern Sweet Potato and Lentil Jar Salads- vegan, gluten-free, and so easy to throw together. 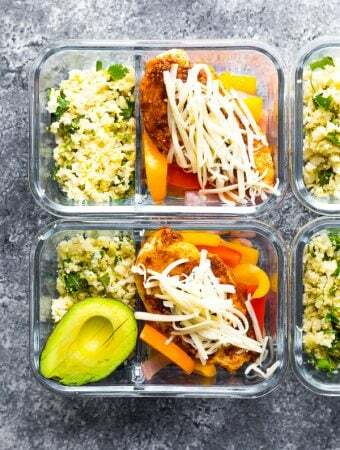 Chicken Fajita Lunch Bowls- chicken, veggies and rice tossed in a fajita-inspired vinaigrette. 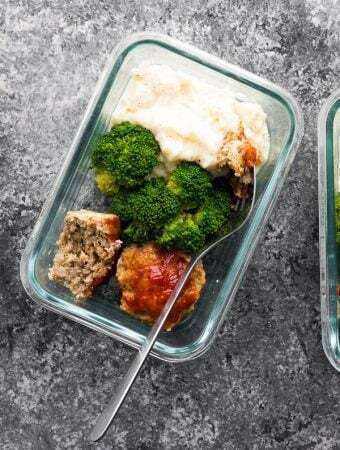 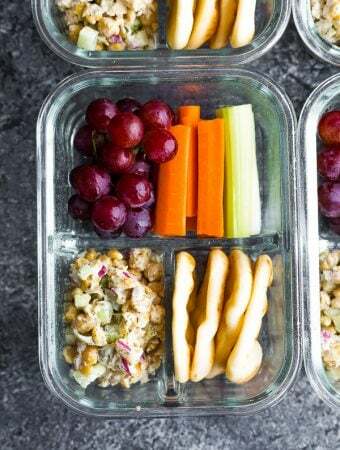 19 Healthy Lunch Meal Prep Ideas- this round-up is updated often, and contains lots of lunch ideas, plus tips and a video.